Cousin Tony’s Brand New Firebird have wasted no time getting stuck into their sophomore album – the follow up to this year’s Electric Brown. This week frontman and songwriter Lachy Rose arrived in LA to continue work with producer/mixer Matt Neighbour (Matt Corby, The Avalanches). If the music we’ve heard so far is any indication, this band is going to have a massive 2019. The first single is expected before the end of the year with the album to follow in early 2019. Touring plans TBA. Dominic Breen turns heads with video and returns to the studio... already! Just weeks after unveiling the incredible ‘Lay Low’ music video starring Richard Roxburgh, (as premiered on triple j Unearthed and now at over 17,000 views across YouTube + Facebook), Dominic Breen is back at work on new music. Tim Fitz from Middle Kids has invited him to his home studio and is co-producing/mixing tracks for Dom’s next EP. We can’t wait to hear it! Plus he's playing at Waywards on Oct 23rd & Marly Bar on Nov 1st. Francesca Gonzales continues to win hearts and fans with her emotional soul-infused pop. Following the release of her outstanding self-titled EP, Francesca performed a number of sold out shows in hometown Melbourne. She was invited to perform for Sofar Sounds in Melbourne, which resulted in this beautiful live rendition of the EP’s opener 'Make My Life'. The debut Double Drummer single from groundbreaking new Sydney artist YSKA has had a stunning response. After only a few weeks, this hypnotic electonica/pop track, ‘Falls’ (recorded with producer Guy Burns), has captured listeners all over the world and is now nearing 200,000 streams, thanks to strong support from Apple Music, Spotify and YouTube. The song has also received some cracking Unearthed reviews. A video clip is around the corner. Fresco Kyoto are putting the finishing touches on their next single, with a debut EP to come soon after. 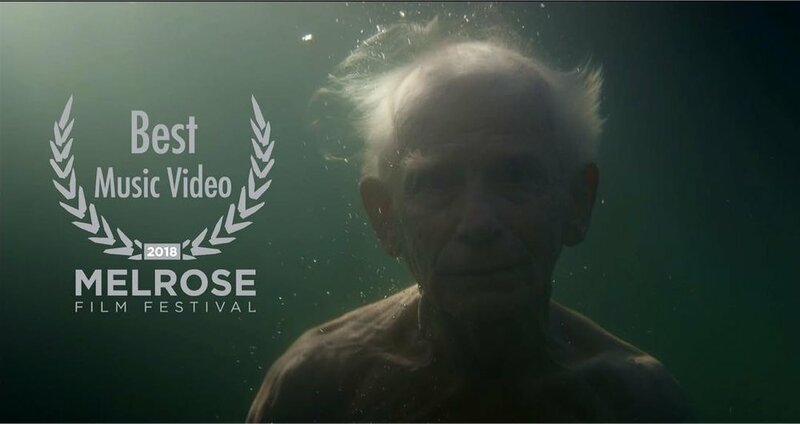 Why We Run's video for ’A Moment To Return’ has been screened at numerous international film festivals and won several awards, the latest of which was “Best Music Video" at the Melrose Film Festival.